Depending on the dental services you offer, being present on any three social media platforms can help you increase your patient base. In the last decade, the percentage of Americans with a social media account has gone up from 24% to 81%. So the majority of your existing and potential patients are on social media. And marketers agree that social media offers more exposure and lead generation to their practice. There are numerous social media platforms and you may or may not need to be present on all of them. But just having an account on your chosen platform is not enough. Rather, you need to have a strategic plan for marketing and advertising on these platforms. An effective social media strategy can fetch you better ranking on search engines, more leads and more conversions. Start by establishing a strong online presence on these most popular social media platforms: Facebook, Instagram, Twitter, LinkedIn and Pinterest. Premeditated activities such as selection of a target audience, content and business goals allow you to perform good dental marketing to improve brand awareness that builds your online reputation. Let’s see how to use social media sites for online marketing of your practice. It is one of the most popular social media platforms with around 70% of online users. You can share all forms of content with your target audience such as videos, infographics, images or blogs. With an audience ranging from15 to 59 years of age and more than 90% of millennials, Facebook is not a platform to be taken lightly. It even allows your patients to rate and review your practice. It helps you build long-term relationships with your existing patients and attract potential ones. When it comes to marketing your dental practice, Facebook is not an absolutely free platform. It operates on pay-for-play model where you need to pay to make your content reach a larger audience. Twitter is a place for active participation that witnesses more than 7,000 tweets every minute and has 350 million+ users. It is best for real-time communication with your target audience. Features like polls and hashtags help you get a quick response to your posts. The number of shares for a dentistry post can increase with the number of relevant hashtags you include. Your posts go viral like wildfire with your existing patients’ likes and shares of your posts. For excellent use of Twitter, you should have plenty of meaningful content to share on dentistry. A dull and uninteresting tweet will die soon and won’t be able to connect well with your existing and new patients. So you need to posts tweets more than once a day to increase patient engagement. Twitter even allows you to preschedule tweets. With 800 million active users, Instagram is a great place to reach millennials. And Instagram Stories is one of the best ways to engage with your patients. This platform attracts an audience who appreciates videos and images. You can engage with a wider group of patients using hashtags. Instagram rules over Facebook and Twitter in terms of hashtags by allowing you to add as many as possible relevant dentistry hashtags. For a newbie dental practitioner, Instagram is good for brand promotion. Since its major subscribers are under the age of 35, visually appealing posts or content can spread your name in the market, establishing a strong online reputation. But users can get a link to your Instagram page via your Facebook or Twitter account and the About Me page on your practice website. Both Twitter and Instagram can help you attract the young and tech-savvy crowd. With more than 100 million users, LinkedIn is a more professional social media platform with major users in the age group of 30 to 65. So your posts should also be professional and relate to your practice. Use it to connect with your colleagues, community and other healthcare professionals in your niche. Being an active member of LinkedIn groups and commenting on different posts increases your professional credibility. LinkedIn should not be used to promote your services;rather, use it to build professional referrals and promote your brand. Pinterest is mainly a visual platform with 100 million users. It is the most effective site to acquire website traffic referrals as people “pin” content to their boards. Pinterest can be used to attract your potential patients by displaying images of your practice for promoting offers, if any. Appealing graphics along with optimization can fetch you better leads. Note that the major crowd on Pinterest consists of females and millennials, so keep using good marketing images. After consent from your patient, you can post a before-and-after dental surgery image to attract new patients. 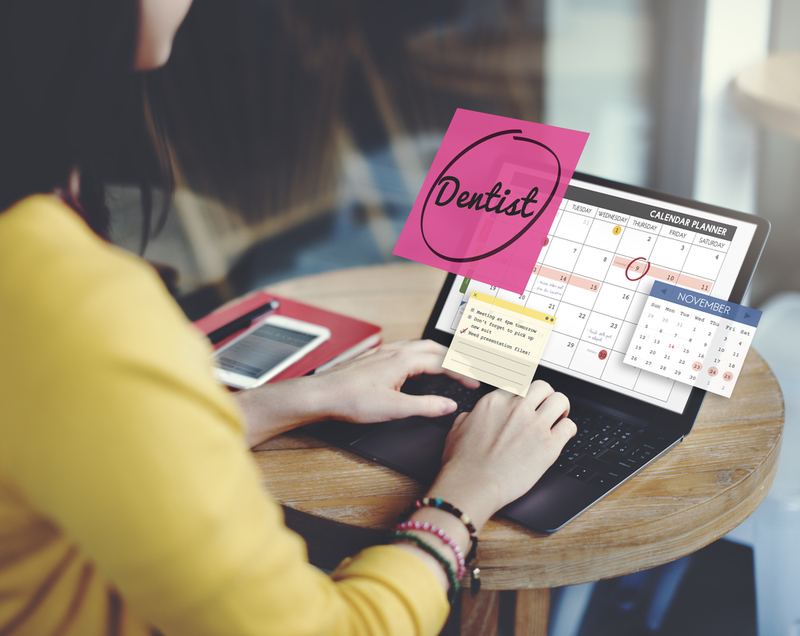 Depending on the dental services you offer, being present on any three social media platforms can help you increase your patient base. Facebook and Instagram being the leaders, they need to be utilized efficiently to defeat your competitors and grow your online presence.